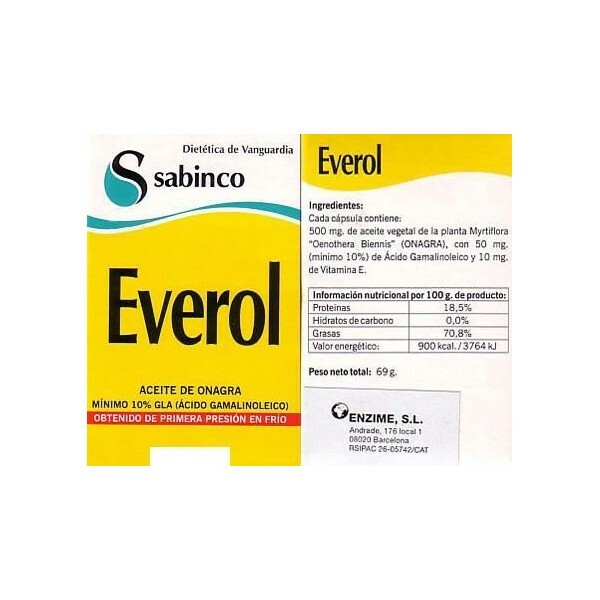 Everol Laboratory Sabinco. Evening primrose oil. Menstrual disorders. 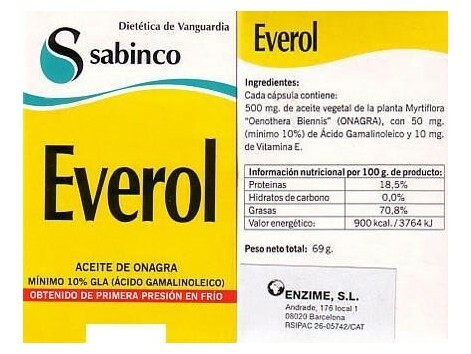 Ingredients: Each capsule contains: 500 mg of vegetable oil plant Myrtiflora (Onagra), 50 mg (minimum 10%) Gamalinoleico acid and 10 mg of Vitamin E. Dosage: 3 to 5 capsules per day for meals.